Alex Salmond, the first minister of Scotland, has just revealed an updated plan to get half of the country’s electricity from renewable sources by 2015. In 2011, Scotland beat its 31% target by about 4%, so it’s updating to the new target. He made sure to point out that this is a huge economic opportunity for the country, and there are no negatives about it. He expects to meet this goal by further developing offshore wind farms, wave power, and tidal power projects. 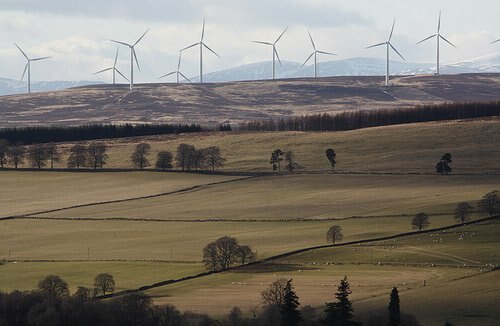 Scotland should now be able to reduce greenhouse gas emissions by 42% by 2020. This would also add up to 11,000 clean energy jobs in Scotland. It is refreshing to hear stories like this the day before the United States presidential election. There are 30+ states (mine included) with ballot proposals regarding increases in renewables. Hearing attack ads on the dangers of these proposals hurts my faith in humanity – but it is quickly healed when I hear about the ambitious goals of countries like Scotland. One day we will all get there, right?